I will look after you throughout the course of planning your ceremony, offering guidance, comfort and inspiration. As an experienced and professional Perth Celebrant, I am authorized to conduct marriage ceremonies, funerals, naming ceremonies, relationship commitment ceremonies and affirmation of vows, anywhere in Australia. I am deeply committed to ensuring the ceremonies I conduct and fully reflect the needs and wishes of those involved. I appreciate how important it is to get every detail right and believe in spending time with my clients and getting to know them, in order to deliver a ceremony that encompasses all the warmth, and on occasions, compassion, which makes for a personal and memorable ceremony. I live south of Perth but am happy to travel for ceremonies. Mike will help you create a truly memorable and meaningful wedding ceremony, reflecting exactly what you have envisioned for your special day. Mikes ensures ceremonies are never rushed or time-pressured and is assisted by his wife Marguerite who attends to any last minute preparations and ensures the arrangements are just how you want them to be. In the presentation of wedding ceremonies, every celebrant has an individual style – and Mike’s style is not only professional, but traditional and dignified. Mike understands that your ceremony is a very personal affair, and it is important to him that it properly reflects your wishes. He spends time with you in preparatory meetings, and allocates a generous amount of time to ensure that you have a respectful, punctual and unhurried ceremony. We know for some couples, writing your vows can be a daunting task so we will provide you with a wide selection of different readings, poetry and vows for you to use, or you can choose something meaningful you have found on your own. Mike’s professional service also includes some extra, special touches – like a beautiful memento booklet containing photographs of the Bridal couple on their special day and the lovely, symbolic candle ceremony. 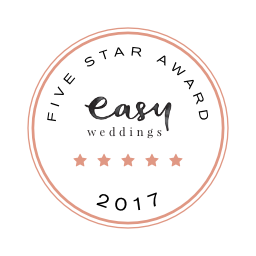 To ensure the “specialness” of your day, Mike does not take any other bookings on your wedding day – so if you need to change the original time, or if things run a bit late, it’s not a problem. Exclusivity for your day is guaranteed on payment of a confirmation fee; the balance of the fee is payable at any time prior to the ceremony – most couples find the rehearsal to be a convenient time. Although the confirmatory deposit fee is not usually refundable, the balance of the total fee would not be payable if the ceremony is cancelled before the rehearsal. In the presentation of ceremonies, Mike is assisted by his wife, Marguerite, who meets the bridal party on their arrival at the venue and coordinates the entry procession. Marguerite organises the playing of music through our p/a system, or will liaise closely with individual musicians, if required. She decorates the candles used in the ceremony and arranges fresh flowers for the signing table. With her assistance, you will not need to ask guests to give up their time to take on organisational roles, they can sit back and enjoy the ceremony! Being well-versed in music and decoration, Marguerite can also advise couples on colour schemes and music for their ceremony. It all begins with a chat! Send me an email, fill out the enquiry form or give me a call and let’s arrange a time to meet. We will arrange a time to sit down together and run through the details of your ceremony. Relax and enjoy your special day – i’ll look after the finer details and make sure you’ll have a ceremony to remember. Welcome a new life into your family and celebrate your hopes for your baby’s future. Mike offers naming ceremonies presented to your wishes, and the venue of your choice. Working with Mike to prepare your ceremony will ensure a fitting welcome for the new member of your family. Celebrate your marriage, and reaffirm your love with a reaffirmation ceremony. Mike’s personal, dignified ceremonies accurately reflect and celebrate the life of your loved one. Really thorough. We met with him a few times and he told us what to expect. Kept in contact via email as he said he would and gave us some great options for our vows. Very professional as well. His wife is also involved which is why we chose them. She puts out flowers and sets up the tables and takes care of the bridal party on the way in. They even matched our colour scheme for the day. He was a very professional, easy going guy. Our wedding was quite unique and he was very accommodating to what we wanted. He was very relaxed and listened to everything. He spoke very clearly on the day. Call or submit an enquiry and let’s discuss your ceremony.